Get a FREE Try the World Box with Subscription! Try the World is a specialty foods subscription that sends unique and interesting foods from a different country or region of the world each month. 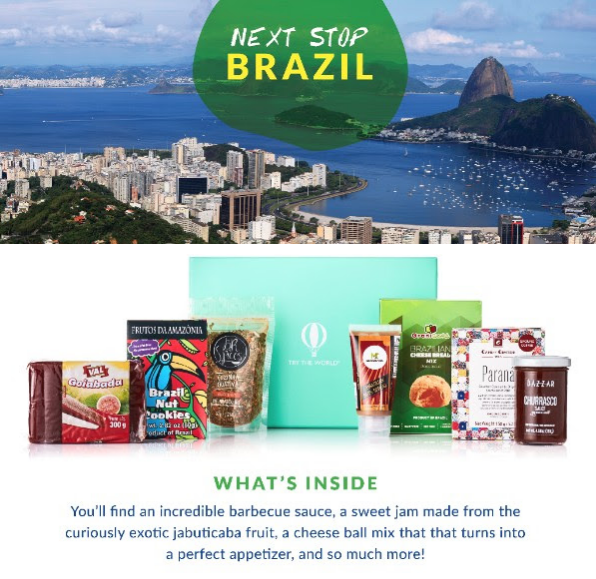 The month of July 2016 features edibles from Brazil! The photo is a little blurry but the promotional material mentions a sweet jam, barbeque sauce and cookies. I'm excited about that but I'm even more excited about the current promotion they're running. I received the Sweden box not too long ago and I have tried all the contents. While I didn't love everything, the Elderflower syrup is amazing and the lingonberry jam is heavenly! I gave my dad the award winning mustard, though. He loves mustard and he has a Swedish heritage and enjoys getting things like that. 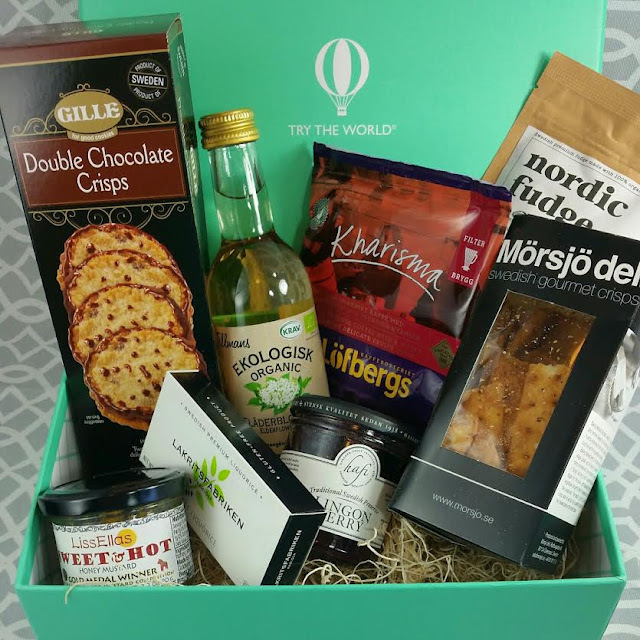 If you would like to sign up for Try the World, you can use this link to automatically get the deal with the free Sweden box. If you're reading this after the fact and the deal is over, you can still use code BITSANDBOXES to get 15% off any order. I've received a few Try the World boxes over the past two years and I've actually fallen in love and reordered several of the products they have sent. There are not many food boxes I can say that about. :) It always makes me happy when it happens, though. Especially when it's something I *can* get more of. Sephora Play! July 2016 Review and Giveaway!